This is the beginning of another occasional series on Please Pass The Recipe. “Waste Not Want Not” will highlight money saving, ingredient stretching and flavour enhancing ideas in the kitchen that will keep frequently discarded foodstuffs out of the landfill. I will share with you how I make use of ingredients in our kitchens that are loaded with flavour, stuff that can be used as a natural flavour enhancer without all the spooky numbers that are present on processed food labels, as well as some creative uses for boring ingredients past their best. By applying a little old fashioned thrift to housekeeping not only can you save money but also add variety, flavour and pizazz to your kitchen repertoire. Parmesan Cheese Rinds are a valuable kitchen commodity. 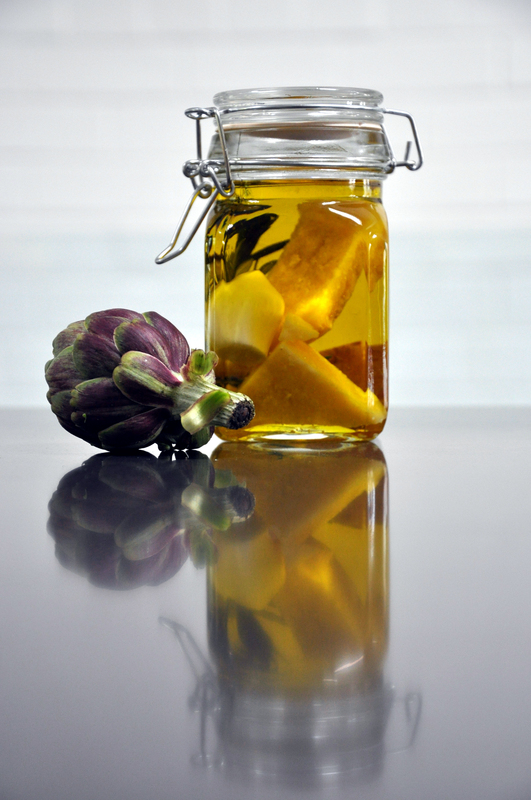 Pour extra virgin olive oil into a sterile, wide necked glass jar that has a screw lid or clip top. Add the tough outer rinds of your Parmesan cheese to the oil as you trim them off or you can collect them in the freezer. The more cheese rinds you put in the oil, the more cheesy flavoured the oil will be. You may also opt to add a peeled clove of garlic or a sprig of rosemary into the jar. Store in a cool dark place. Allow1 month for the flavour to develop. Use parmesan oil in salad dressings, for dipping crusty bread or brush on vegetables before grilling. Great for making pita crisps. I am so doing this with my next collection of parmesan rinds! This entry was posted on October 12, 2012 by ladyredspecs in FODMAP diet, Food, Gluten Free, Pantry Essentials, Preserves, Side Dishes & Salads and tagged olive oil, parmesan cheese.